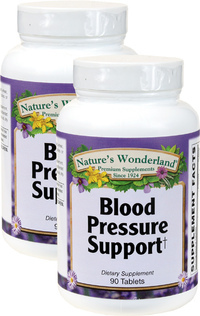 Blood Pressure Support, 90 Tablets Each (Nature's Wonderland) - Penn Herb Co. Ltd. Healthy habits such as regular exercise and avoiding high sodium foods can go a long way to supporting blood pressure health. 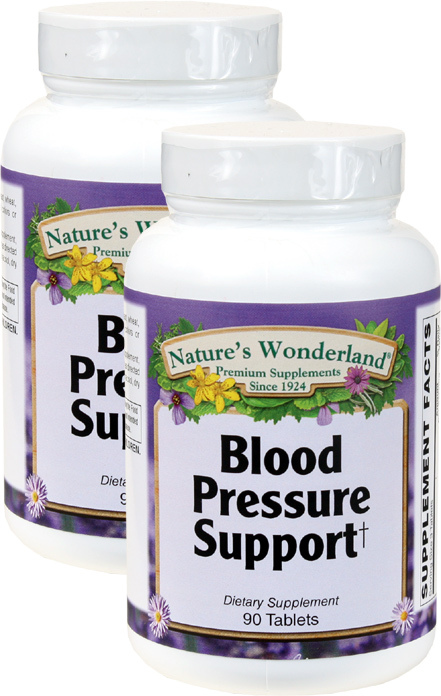 The minerals and trusted herbal extracts in Nature's Wonderland Blood Pressure Support can help to supplement your daily wellness plan. Magnesium...the super-star mineral for healthy cardiovascular function and nervous system health. Hawthorn Extract...herbal heart helper provides powerful antioxidant flavonoids, including standardized vitexin, which promote healthy blood flow and enhance the supply of oxygen to the heart. ForsLean® Coleus Forskohlii extract...patented plant extract shown to support healthy circulation. Helps maintain blood pressure already within the healthy range. As a dietary supplement, adults take 3 tablets daily, or as directed by a health care professional.